Pastors all over the world are in desperate need for leadership development that works, is adaptable to their specific ministry environment, and is holistic in it’s approach. This type of program has been rare until now! 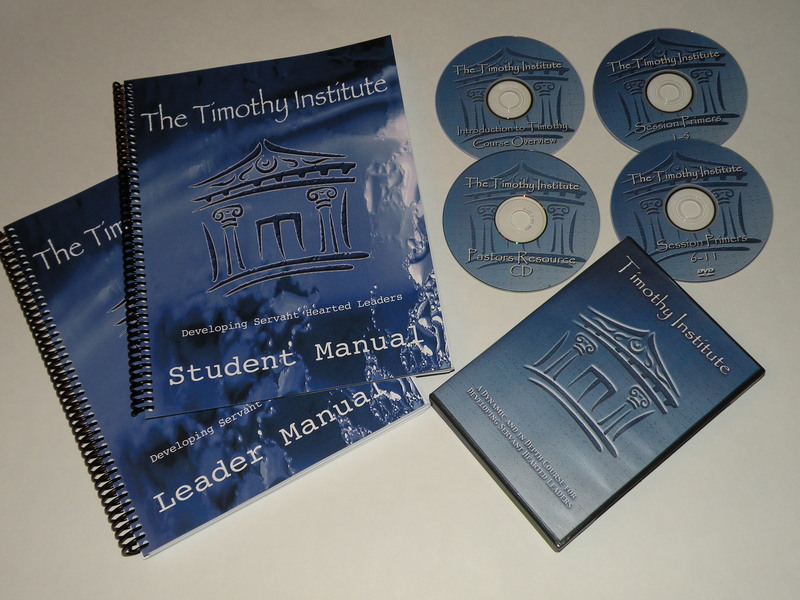 The Timothy Institute is being used in scores of churches with positive results. The Leader’s Manual has all the answers filled in that correlate to the student manual. The Leader’s manual also has some additional key thoughts and teaching tips interspersed throughout the lessons. The Leader’s kit also comes with one student manual. 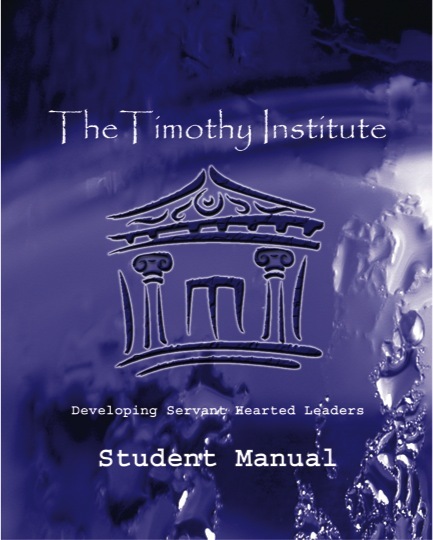 When you know your group size you can order more student manuals from The Timothy Institute. The student manual is packed full of life changing teaching that will challenge, inspire and transform your participants from the inside out! There are 2 DVD’s which contain session primers for each of the 12 leadership training sessions. In these session primers, Monty explains how to teach, organize and use the lessons from the manual. Monty also gives you ideas for movie clips that he uses, and reminds you about the big idea for the session as well as the take away information each participant will need for the next session. There is also a session on how to organize and lead the Spiritual Formation overnight retreat recommended in the course. In this DVD, Monty thoroughly covers everything you need to know in order to have a super successful year leading a Timothy Institute in your church! Monty goes through the entire year and the entire manual so that you are ready to go in no time flat! On the resource CD, Monty gives you files for memory verses, extra teaching tools and tips, marketing brochures and Timothy Institute graphics for your own marker use. Order it now and put your leadership development into high gear! . Student Manuals. These are available in any quantity that you need! The Student manual has everything you need for a year of engaging teaching that your participants will use in their life and ministry. The manual comes with a cover ready to insert into a 3 Hole binder. The pages come pre-drilled and shrunk-wrapped. Order here for only $25.00 each! : Rod Poepping, Lead Pastor, Alliance Christian Fellowship, Eagle River AlaskaThe Timothy Institute is an outstanding and effective leadership tool! I have seen other leadership programs bill themselves as “quick leadership development” when in reality there are no quick fixes to the development of ones’ leadership abilities. Over the course of the last 6-years that I have been involved in the timothy institute, I watched God raise up multiple leaders who have gone on to serve in various arenas; some who serve as key leadership in their church, full-time missionaries in Mexico and even some who were called into full-time ministry. I believe The Timothy Institute’s in-depth program changed my life; I learned what leadership consists of, I have an in-depth of knowledge of the Scriptures, I developed perseverance and a clear understanding of what character formation and discipline entail. I have recently been appointed Lead Pastor at Alliance Christian Fellowship in Eagle River, Alaska and during the first year of my appointment I took our elders through the Timothy Institute as a foundation of their spiritual leadership development and will continue to use this leadership tool in the development of future leadership. I believe in the fundamentals and philosophies of this program to build solid, spiritual leaders in the church, the home, the workplace, on the mission field, and anywhere God calls!